President Magufuli carried out a minor cabinet reshuffle in July, the most prominent act of which was the sacking of the ambitious Home Affairs Minister, Mwigulu Nchemba. In his place, the President promoted Kangi Lugola from his position as Deputy Minister of State in the Vice President’s Office for Union Affairs and the Environment. The reshuffle also saw Isack Kamwelwe and Prof Makame Mbarawa swap places as Minister of Water and Irrigation and Minister of Works, Transport and Communication, with Prof Mbarawa moving to the water docket. While not a cabinet post, the President also appointed a new chairman of the National Electoral Commission, Justice Semistocles Kaijage. This followed a few weeks after the long-standing CCM Secretary General, Abdul-Rahman Kinana, resigned from his post. President Magufuli, as party chairman, moved swiftly to appoint Dr Bashiru Ally as his replacement. The appointment was confirmed by the party’s National Executive Committee (NEC). President Magufuli, while not mentioning former Minister Nchemba by name, appeared to explain the reasons for his sacking in a speech two days later. He listed a long series of problems at the Home Affairs Ministry, including a controversial TSh 37bn contract where the Controller and Auditor General (CAG) said in his report that the work was not done, despite the payment of billions of shillings. The contract involved a deal between a private company, Lugumi Enterprises, and the police force for the installation of 108 forensic machines in some police stations in the country. 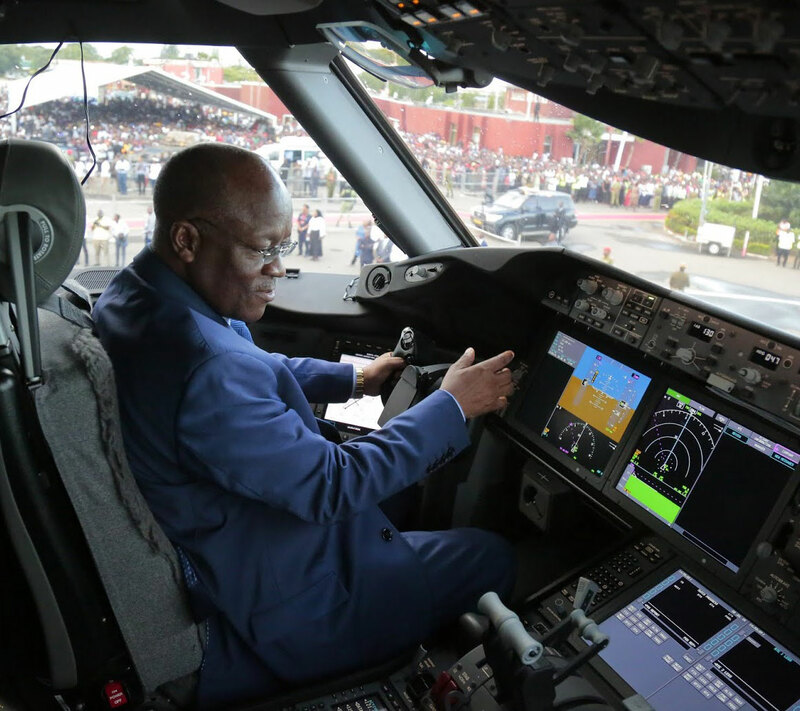 The President also mentioned a multimillion shilling contract for the purchasing of police uniforms that were never delivered, failure to resolve a shortage of fire engines, recurrent road accidents, and the purchase of 777 police cars through a shoddy contract. According to the President, some of the cars were declared to be new while in reality, they had covered over 400 kilometres each. The list continued with mention of what the President described as an influx of illegal immigrants, as well as haphazard issuance of work permits, misuse of funds by the National Identification Authority (NIDA), and a “lack of scrutiny” in the registration of non-governmental organisations (NGOs). The President said some NGOs were operating against the country’s ethics and traditions. The appointment of Dr Bashiru – a long-standing supporter of constitutional reform – to the influential post of CCM Secretary General was seen by some as surprise choice. Dr Bashiru, a university academic had previously held only weak ties to the ruling party, to the extent that he felt compelled in his first days in office to publicly clarify that he was, in fact, a CCM member. Dr Bashiru’s one clear previous link to the party had been that President Magufuli had appointed him as chair of a committee charged with investigating CCM’s assets. The party owns various properties across the country, and should earn a steady revenue as a result, but accountability has been weak and many assets have been effectively privatised. The committee’s investigation was a first step towards regaining control over the party’s wealth, which could then strengthen its financial autonomy and bureaucratic organisation. Having led the investigation, Bashiru will now be in charge of overseeing implementation of the committee’s recommendations.